The Divine Comedy will tour the UK and Ireland this autumn. The band will head out in October with stops planned in Dublin, Belfast, Cork, Glasgow, Birmingham, Oxford, Bristol, Leeds, Manchester, and London, where they'll play Hammersmith's Eventim Apollo. Tickets go on general sale at 9am on April 12. 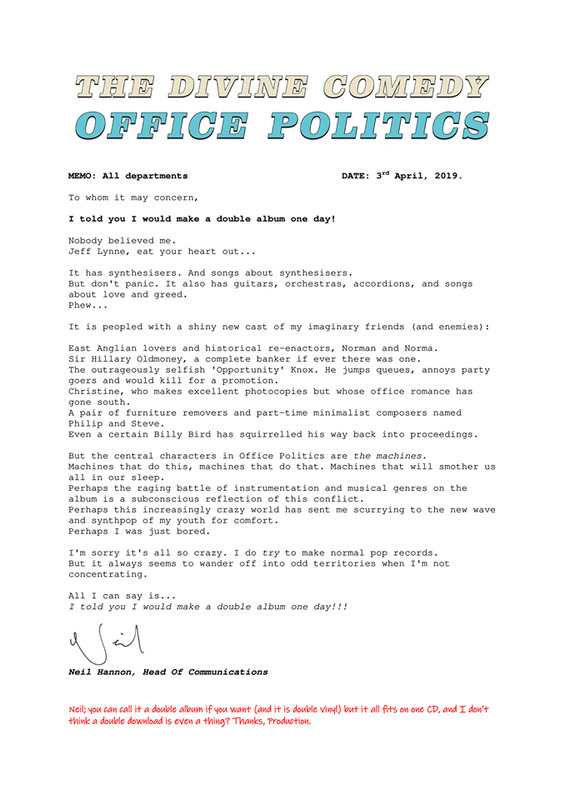 The dates will follow the release of their upcoming 16-track double album, 'Office Politics', which is set to arrive on June 7, following up 2016's 'Foreverland'. The band have also shared the record's artwork, viewable above, as well as the tracklist and its cheerful, percussion heavy lead single, Queuejumper. 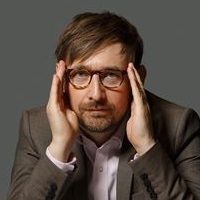 Vocalist Neil Hannon revealed the details via a memo on the band's website. "It has synthesizers. And songs about synthesizers. But don't panic. It also has guitars, orchestras, accordions, and songs about love and greed. I do try to make normal records. But it always seems to wander off into odd territories." 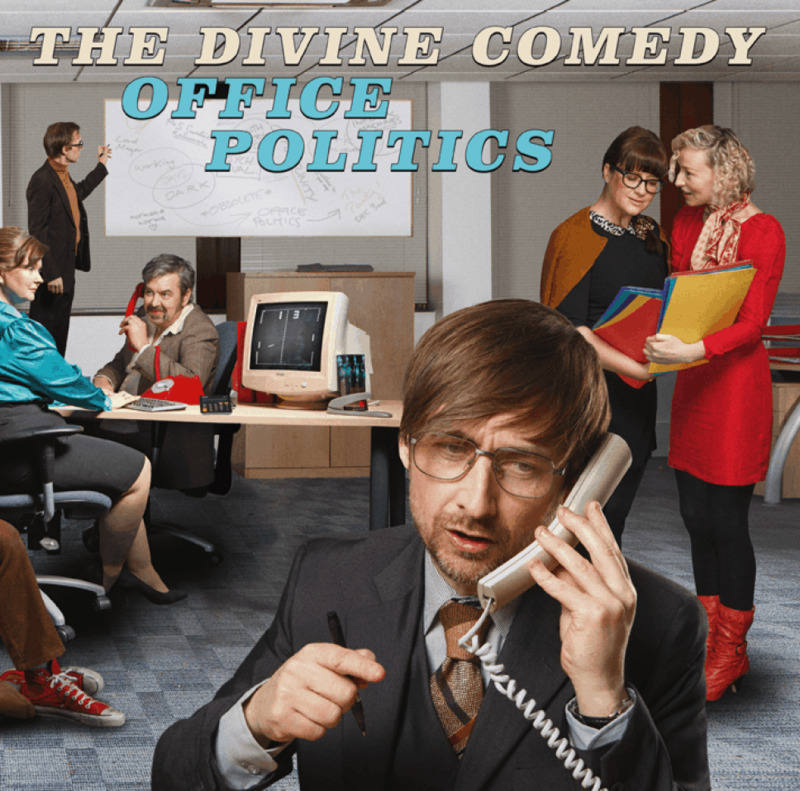 Click here to compare & buy The Divine Comedy Tickets at Stereoboard.com. The Divine Comedy have added an extra Dublin date to their UK and Ireland tour. The Divine Comedy have extended their previously announced autumn tour. The Divine Comedy will tour the UK this autumn. Lucy Spraggan has shared a video for the latest track stripped from her upcoming album 'Today Was A Good Day'. Tash Sultana has released a new single. James Blake has shared a video for Barefoot In The Park ahead of his upcoming UK tour dates, which begin on April 7 in Manchester. Mumford and Sons have shared a powerful video for Beloved. Photo: Tom Craig Jack Savoretti has extended his Singing To Strangers Tour.